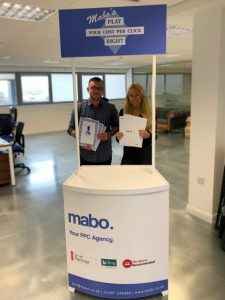 It’s been a busy week here at Mabo! 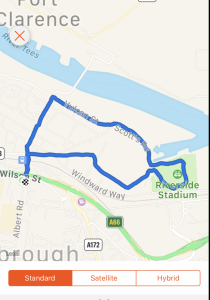 Mabo Runners tried a new route from the office this week taking them to the iconic Transporter bridge, past Temenos and right through to the infamous Riverside Stadium. The team also signed themselves up for a number of runs in the local area including Teesside’s Resolution Run and the Spring Coast Road 5K! Good luck guys. There was no netball match for Mabo Mavericks this week following their staggering 14-6 win last week, so a training session it was! First up, the new stand for our “Play Your Cost-Per-Click Right” game was delivered! We are very excited to give this it’s first outing at Spring Fair in a few weeks time. 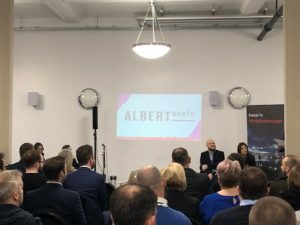 In other news, our Marketing Director, James Lees featured on the guest panel at the Invest In Middlesbrough Business Exchange breakfast this week. It was great to hear about the latest developments on Albert Road and the plans for project Albert North! That’s all from #WeAreMabo this week! 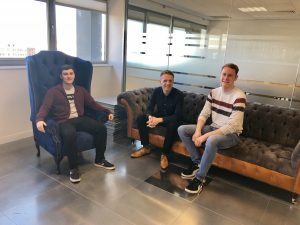 To keep up to date with Team Mabo throughout the week, head over to our social media channels.